ASCO issued a new policy statement that outlines nine specific recommendations to reform Medicaid and improve treatment for low-income patients with cancer. Annual low-dose computed tomography (CT) lung cancer screen for high-risk individuals will be covered by Medicare. ‘Extra Help’ program leads to more women on hormone therapy for breast cancer treatment. Chemotherapy pattern findings based on analysis before and after the Medicare Modernization Act. Findings among Medicare lung cancer screening beneficiaries at high-risk due to past smoking. Those with non-Medicaid insurance more likely to have surgery, radiation, and live longer. Millions signing up for Medicaid to comply with federal health care law. Unless the federal budget sequester is resolved, the impacts to oncology and biomedical research in 2014 could be long-lasting and severe. 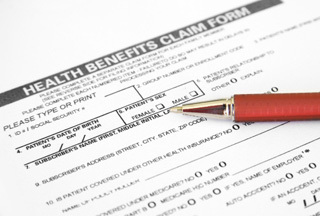 Mass cancellations of physicians in Medicare Advantage plans in many states prompts protests.